What's happening in China is worrisome. But many economists say there's no reason to panic. Sure, stock markets are very ugly. The Shanghai Composite has plunged more than 40% from its mid-June peak. Its little brother, the Shenzhen Composite, has fared even worse. While Beijing has tried very hard to stop the bleeding, nothing seems to be working. But here's some context: The sharp recent losses follow a long bull run. The Shanghai Composite is still up roughly 35% from this time last year, while Shenzhen is hanging on to a 45% gain. Foreigners own only 1.5% of the market, and most of China's vast savings are held in property and cash. Here's the really important bit: China's stock markets have little bearing on the country's economy. "Investors are overreacting about economic risks in China," said Mark Williams, chief Asia economist at Capital Economics. "The collapse of the equity bubble tells us next to nothing about the state of China's economy." Nearly every story written about the global equities selloff has cited worries over China as a primary driver of the market panic. In recent days, the focus has shifted from turmoil in the country's stock markets to worries over the health of its massive economy. Two pieces of data are cited as evidence of slower growth: China's exports have disappointed in recent months, and last week, an early gauge of August manufacturing activity came in at a 77-month low. But other indicators are faring much better. Wage growth is strong, and so is consumption. "Recent data have been more positive than the headlines might suggest, with large parts of the economy still looking strong," Williams said. Economists at UBS have a similar message. Apart from the weak manufacturing report, there "hasn't been much new information" that would merit a panic. They expect GDP growth of 6.8% in 2015, and note that the recent recovery in property sales has reduced the risk of a so-called hard landing this year. It's worth taking a step back: Experts have known for a long time that China's growth would slow. It had to weaken, in fact, as Beijing made reforms designed to shift the country away from relying on building roads, railways and housing to generate growth to an economy powered by consumer spending. Some analysts dismiss China's GDP data as faulty. That's fair enough -- even Prime Minister Li Keqiang has in the past described it as "unreliable." The doubters turn to other proxy measures to gauge the health of China's economy. They look at electricity output, freight shipments and seaport cargo volumes. These indicators suggest that the economy is expanding at 4% to 5%, far below official GDP figures. Crucially, however, they are broadly stable. Capital Economics, which has its own China Activity Proxy model, hasn't found any evidence of a major slowdown. "There is no sign in the recent data of a deepening economic crisis," Capital Economics said on Wednesday. "With policy support gathering force, a rebound in growth still looks the most likely outturn for the next couple of quarters." China bears cite a variety of other risks: Local government debt is very high, the property sector is a perennial weak spot and many financial transactions take place in the massive and murky shadow banking sector. But even analysts who have long warned of a crisis are not convinced one will develop now. 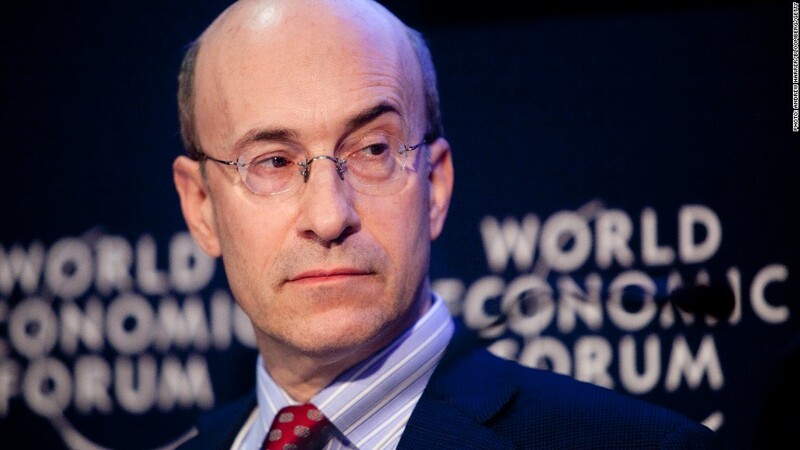 "The outside risk... is that they could have a much deeper crisis," said Kenneth Rogoff, a Harvard professor who accurately predicted the eurozone debt crisis. "But I don't think that's the central scenario." Here's another reason not to panic: Beijing still has plenty of firepower to boost growth. The central bank chose to lower interest rates, which remain comparatively high, on Tuesday. It also cut the amount of cash that banks are required to keep in reserve. Should it need to, the bank could lower rates even further. Beijing could also accelerate planned infrastructure projects, or roll out additional fiscal stimulus. "China's policymakers still have sufficient policy ammunition on both the monetary as well as fiscal fronts," said economists at HSBC, who forecast a modest economic recovery in the second half of the year, leading to 7.1% growth for 2015. During the global financial crisis, Communist Party officials responded with a shock-and-awe four trillion yuan ($600 billion) stimulus package. Analysts say officials wouldn't hesitate to respond in a similar manner now if the economy was in danger of slowing sharply. But most economists don't think action of that magnitude will be required anytime soon. "The upshot is that we see growth picking up soon," Williams said. "That probably won't translate into a turnaround in China's equity markets but, given the lack of a link between the markets and the economy and the lack of global exposure to China's markets, it's not clear why that should matter to most investors," he added.